Accused soldiers stationed at Camp Bliss may find that their appointed legal representation is limited due to the large number of cases handled, the experience of the legal team, and the command pressures in place. Attorney Colby Vokey has worked as an active duty military lawyer in one of the busiest legal departments and understands the problems faced by your appointed counsel at Fort Bliss. You are one of over 30,000 active duty military stationed at Fort Bliss and you deserve the best legal representation. 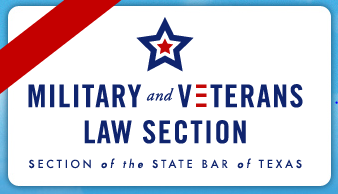 Lt Col Colby Vokey acts as the lead attorney on your court-martial, board of inquiry, or Article 32 hearing, providing a personal level of representation. With over 20 years on active duty and over 18 years as a military lawyer, Lt Col Colby Vokey has the experience to work with the bureaucracy and the command structure found at Fort Bliss. Fort Bliss is located on 1.12 million acres of land, covering both El Paso, Texas, and New Mexico. The fort is named after William Wallace Smith Bliss, a West Point graduate, who received a medal for bravery in the Mexican American War and was appointed as the Army’s Adjutant-General of the Western Division. Starting as early as 1848, several locations in El Paso served as military forts for the area and provided protection from Apache and Comanche tribes. However, the present day location of Fort Bliss wasn’t established until after the Civil War in 1893. Initially a cavalry post, Fort Bliss adapted over time to meet the demands of the Army. During and after World War II, anti-aircraft artillery battalions were trained and the cavalry was moved out. Scientists from Germany were located at Fort Bliss after the war to develop the rocket program. In 1957 the US Army Air Defense School was established and remained critical during the Cold War. Over the 1990s, soldiers were trained under the Patriot Missile Defense System, which was used during Desert Storm. In 2005, the First Armored Division, nicknamed Old Ironsides, started its move from Germany to Fort Bliss. With over $6 billion spent on facilities, barracks, and housing, Fort Bliss has experienced a revitalization, ensuring its continued operation for years to come. Having experienced training as an artillery officer at Fort Bliss, Attorney Colby Vokey understands life at Fort Bliss and the difficulties and hardships from working at the base. 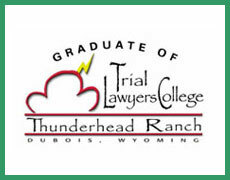 As a graduate and a staff instructor at Gerry Spence’s Trial Lawyers College, Mr. Vokey knows how to explain your case to a jury and succeed in the courtroom. His case results show how he has helped servicemembers fight for their rights. You deserve the best legal representation. Contact military lawyer Colby Vokey for a free initial consultation.